A flashing check engine light is typically indicative of a serious problem affecting your vehicle’s ignition, fuel or emission systems. If your check engine light is on or flashing, it’s time to come into your neighborhood Firestone Complete Auto Care store for a car diagnostic. 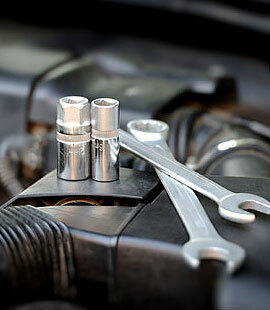 Our auto service professionals will investigate the check engine code error and troubleshoot the problem. If you delay a car diagnostic or necessary engine repair, the problems and costs can quickly escalate.